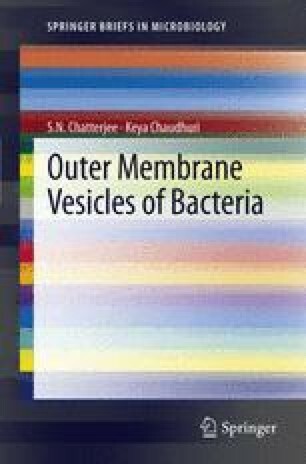 The production of outer membrane vesicles (OMVs) by Gram-negative bacteria is influenced by many different factors. Pathogenic bacteria produce more OMVs than the non-pathogenic ones and OMVs are also produced within the infected hosts. The amount of OMVs produced under different growth conditions varies, and the structure of LPS on the outer membrane significantly influences OMV production. Bacteria treated with antibiotics such as gentamicin produce numerous OMVs that are different from the native OMVs in structure and chemical composition. Similarly, bacteria under stress also produce more OMVs. Thus the OMVs are produced to favor the growth and survival of the parent bacteria under challenging conditions.